May Member Seminar: Are You On Brand? Name: May Member Seminar: Are You On Brand? 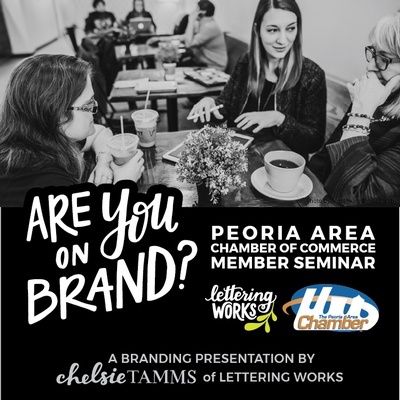 May's Chamber Member seminar will be presented and hosted by Lettering Works and the Peoria Area Chamber of Commerce on Tuesday, May 14th at 9:00am at the Peoria PublicLibrary - Main Branch. 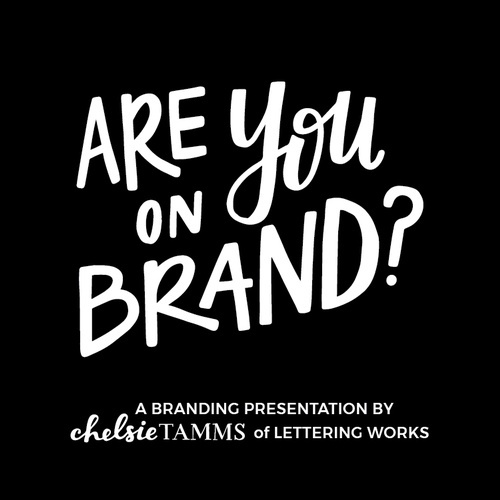 Owner and designer, Chelsie Tamms will teach attendees about the elements that create a brand, how to channel a business's passion into brand identity, and how to build an authentic brand for your business. Lettering Works is the premier custom lettering and design company in Peoria, Illinois and utilizes hand lettering to achieve more personal and genuine communication. Lettering Works specializes in custom designs for business, branding, communities, and causes. Learn more about Lettering Works at www.letteringworks.com.